Technical Aspects Test (31) 1.Name the main 5 components of mise-en-scene (5) 2.What is low key lighting (1)? 3.Define the following shots (8): High Angle. 1 Technical Aspects Test (31) 1.Name the main 5 components of mise-en-scene (5) 2.What is low key lighting (1)? 3.Define the following shots (8): High Angle Pan Tilt Tracking Dolly POV Shot-reverse-shot Establishing shot 4.What is cross cutting (1)? 5.What is match on action (1)? 6.What is an eyeline match (1)? 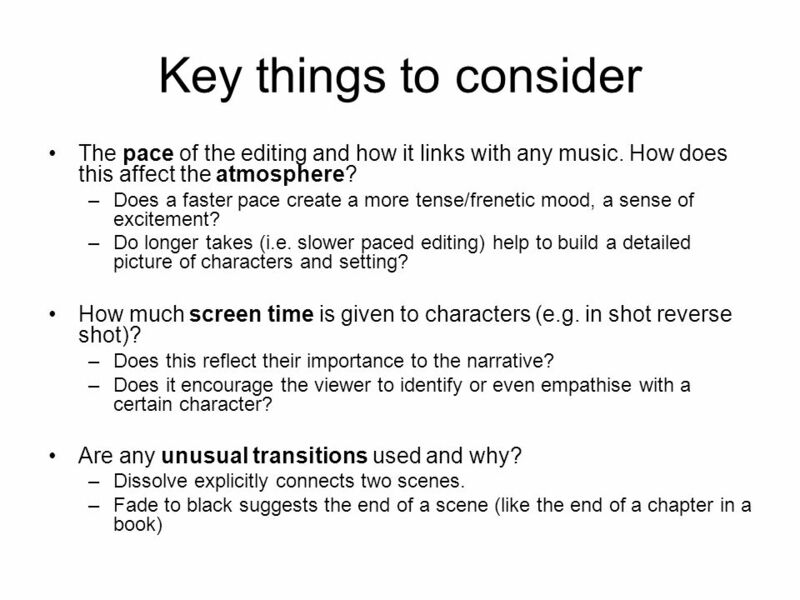 7.What editing technique might 4 and 5 be a part of? 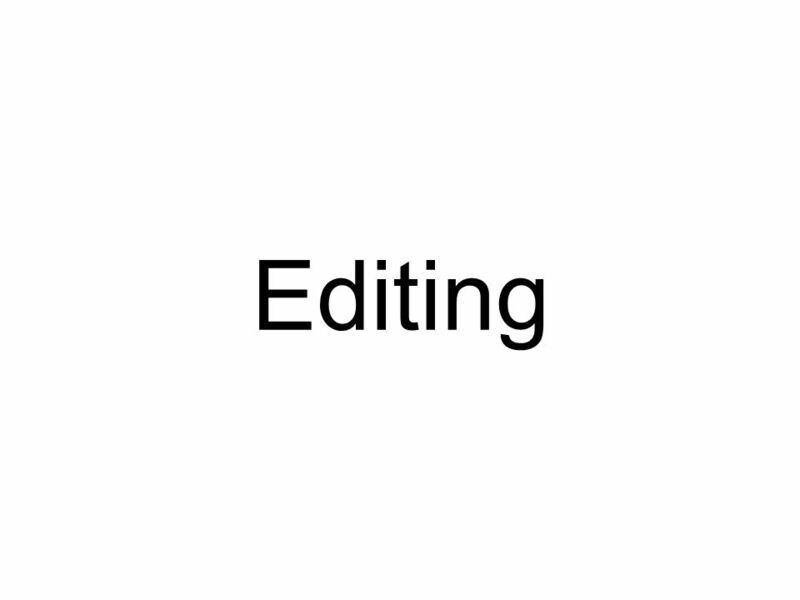 Define it (2) 8.Name and define 3 editing transitions (3). 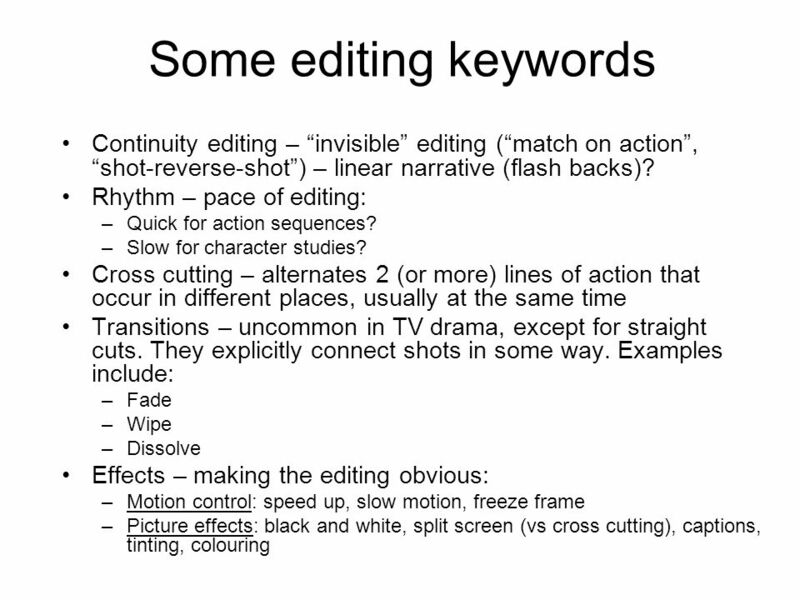 9.Name and define 4 editing effects (4). 10.Define the following sound key terms (4): 1.Symphonic 2.Rhythmic 3.Dissonant 4.Synchronisation 11.The colour red might symbolise danger. Give 2 words that you could use instead of symbolise (2). 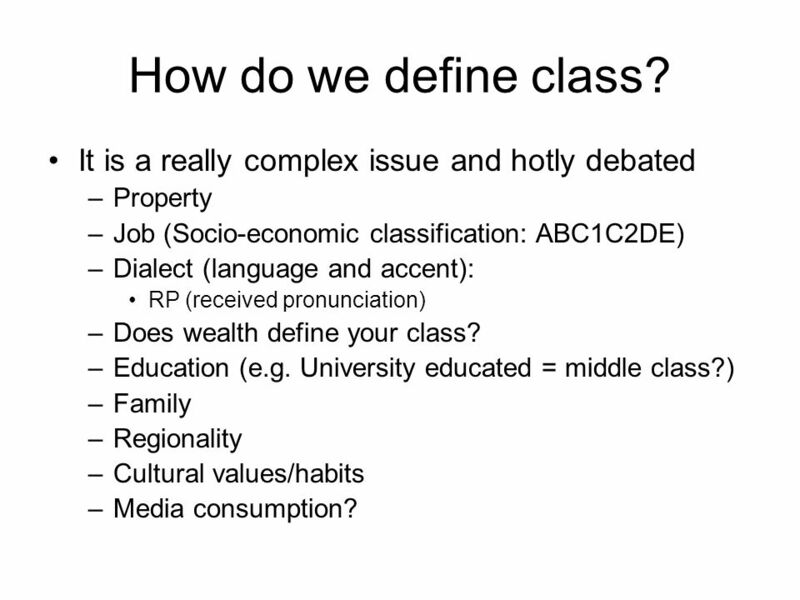 12 How do we define class? 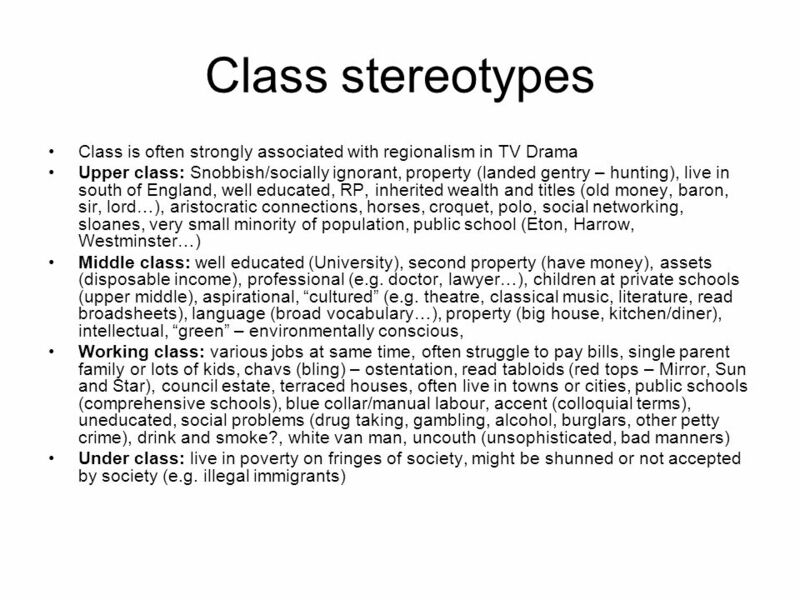 It is a really complex issue and hotly debated –Property –Job (Socio-economic classification: ABC1C2DE) –Dialect (language and accent): RP (received pronunciation) –Does wealth define your class? –Education (e.g. University educated = middle class?) 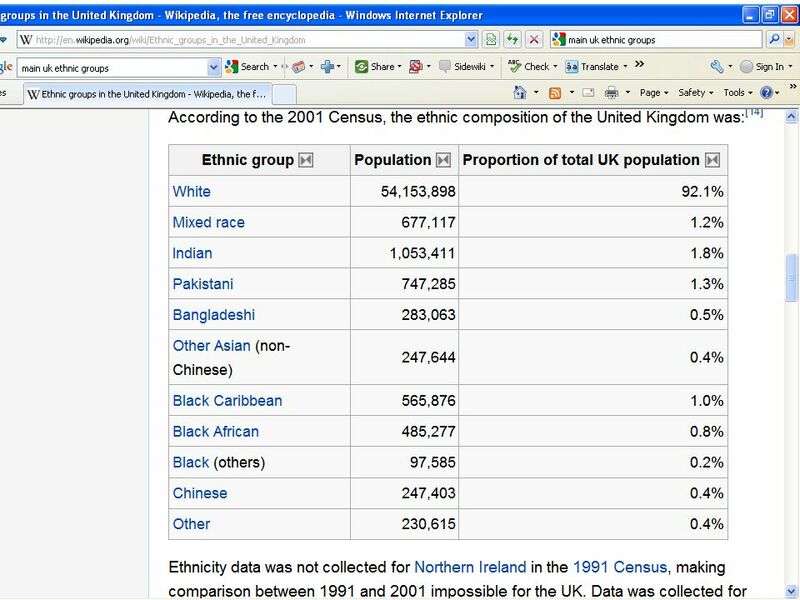 –Family –Regionality –Cultural values/habits –Media consumption? 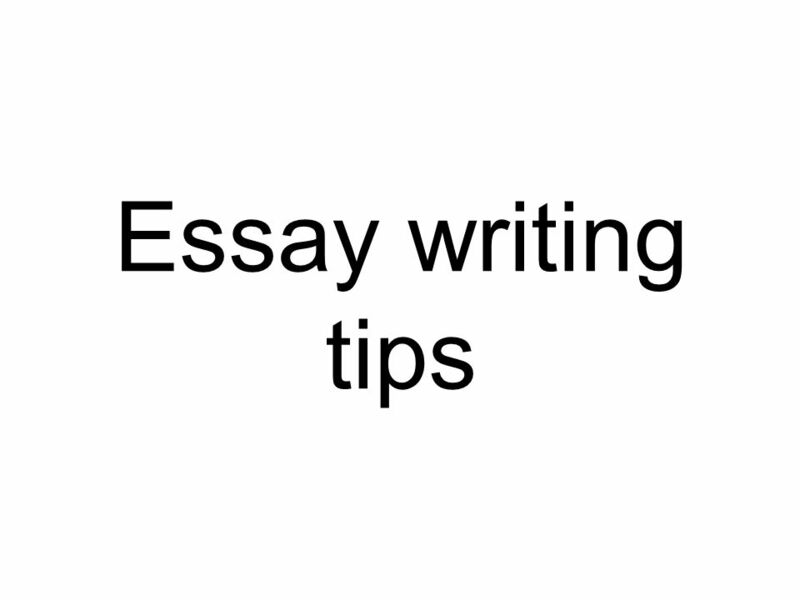 15 Introduction: Dont make any grand generalisations Refer to the language of question Give some context to the text Conclusion: Briefly summarise your main points Dont introduce any new points Make it interesting and stand out (e.g. 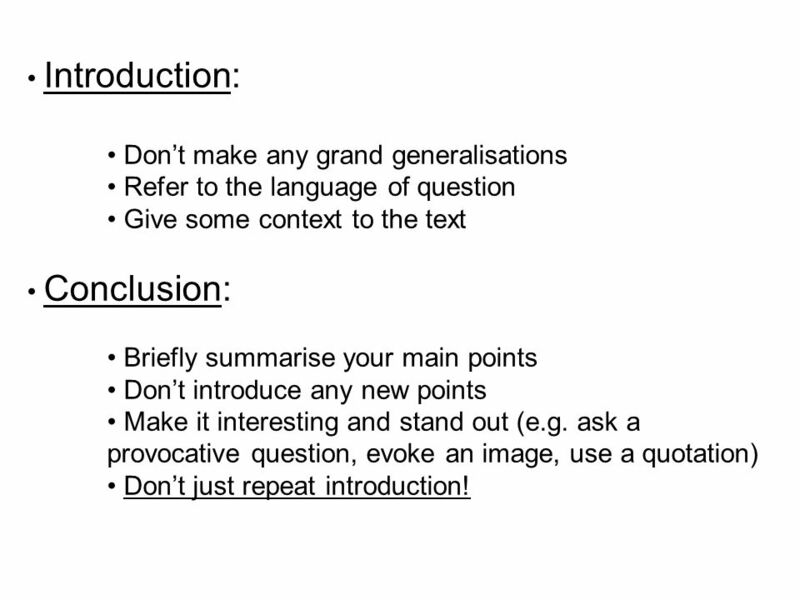 ask a provocative question, evoke an image, use a quotation) Dont just repeat introduction! 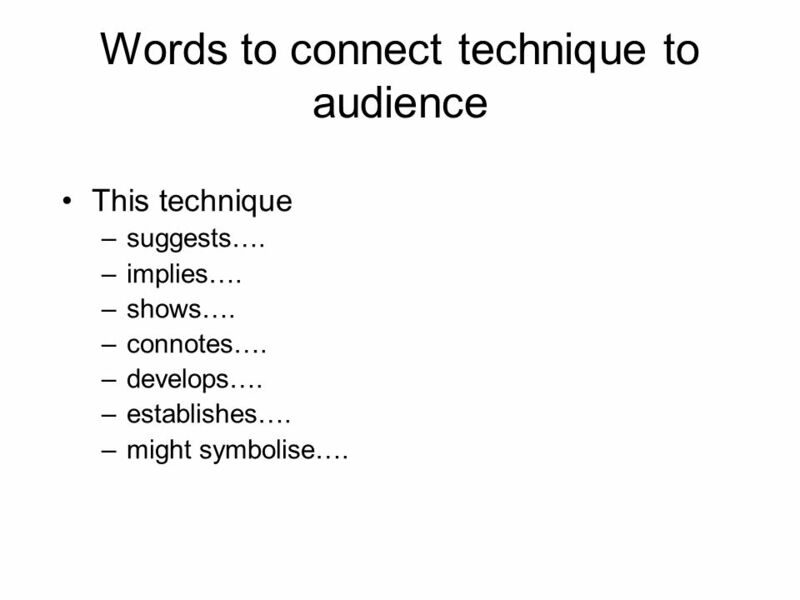 17 Words to connect technique to audience This technique –suggests…. –implies…. –shows…. –connotes…. –develops…. –establishes…. 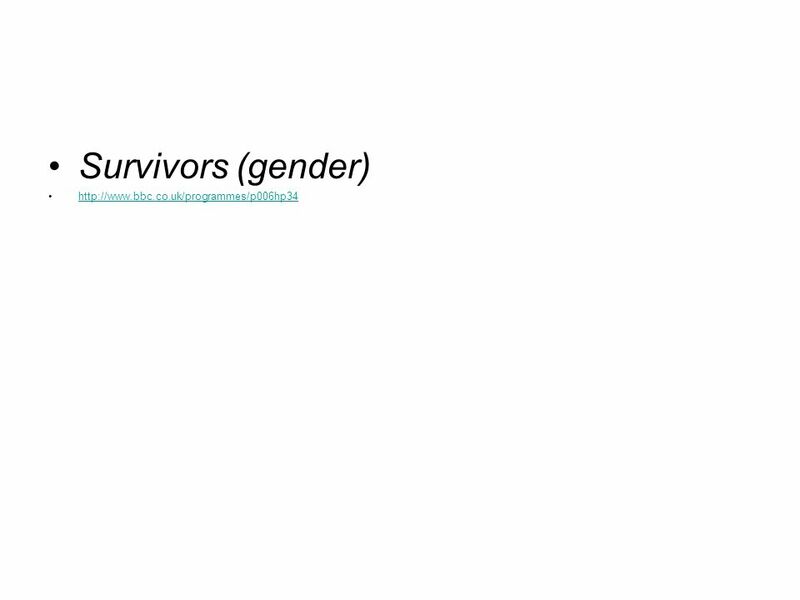 –might symbolise…. 22 The use of the handheld camera creates a sense of both chaos and immediacy. 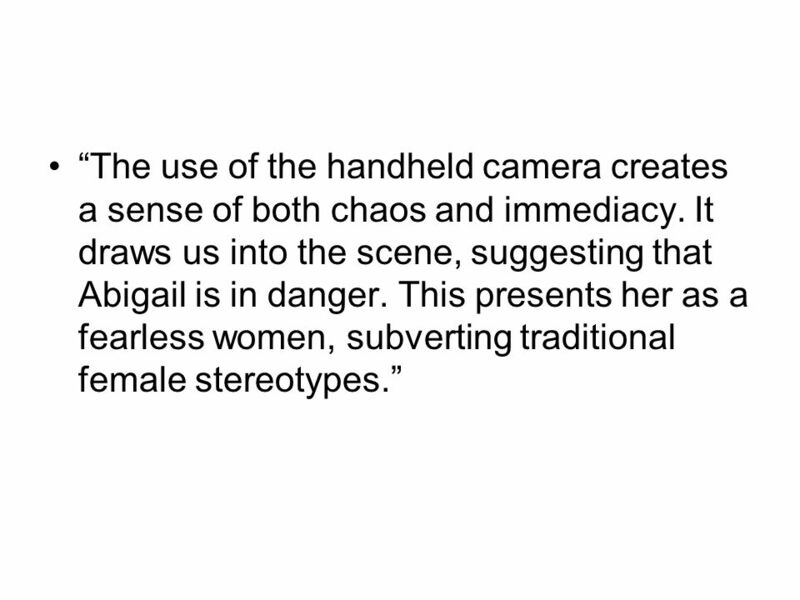 It draws us into the scene, suggesting that Abigail is in danger. This presents her as a fearless women, subverting traditional female stereotypes. 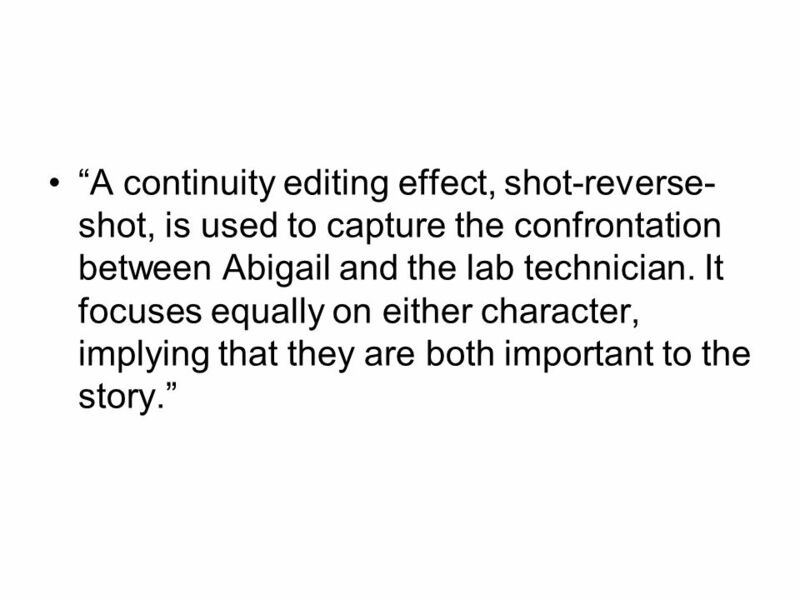 23 A continuity editing effect, shot-reverse- shot, is used to capture the confrontation between Abigail and the lab technician. It focuses equally on either character, implying that they are both important to the story. 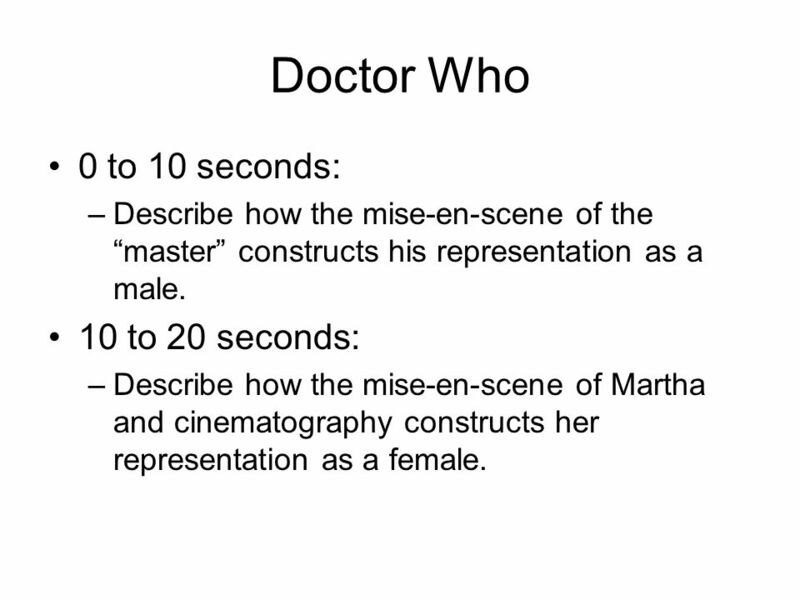 24 Doctor Who 0 to 10 seconds: –Describe how the mise-en-scene of the master constructs his representation as a male. 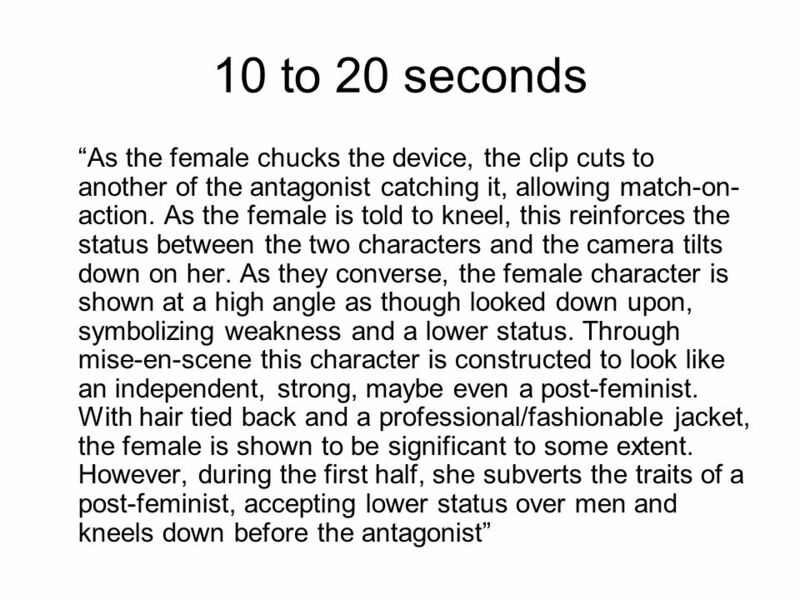 10 to 20 seconds: –Describe how the mise-en-scene of Martha and cinematography constructs her representation as a female. 25 Opening 10 seconds The antagonist wears a white shirt and black tie and suit, showing that he is professional. The top button of shirt however is undone and his shirt untucked and tie loosened, showing contrasting signs of rebellion. 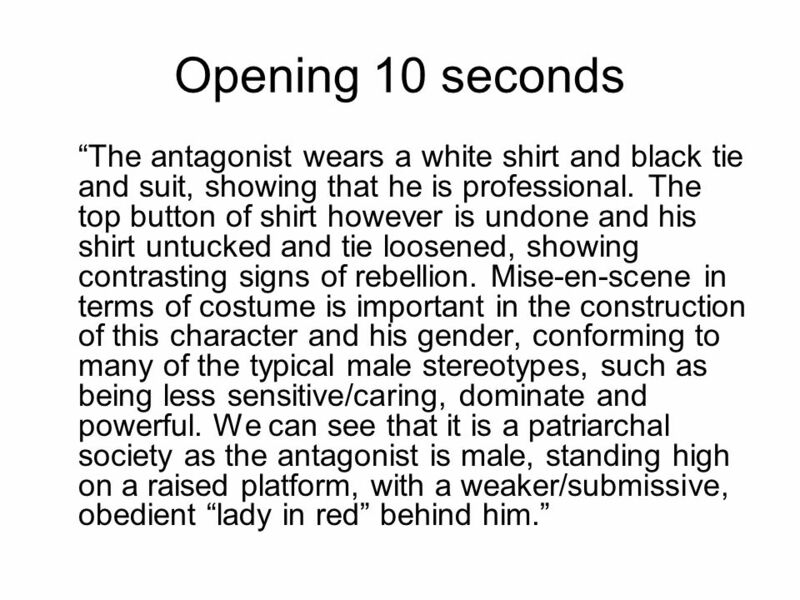 Mise-en-scene in terms of costume is important in the construction of this character and his gender, conforming to many of the typical male stereotypes, such as being less sensitive/caring, dominate and powerful. We can see that it is a patriarchal society as the antagonist is male, standing high on a raised platform, with a weaker/submissive, obedient lady in red behind him. 27 Doctor Who From the very beginning of the clip we are shown a shot in shallow focus with the antagonist shown clear in the foreground and a female blurred out entering the area. 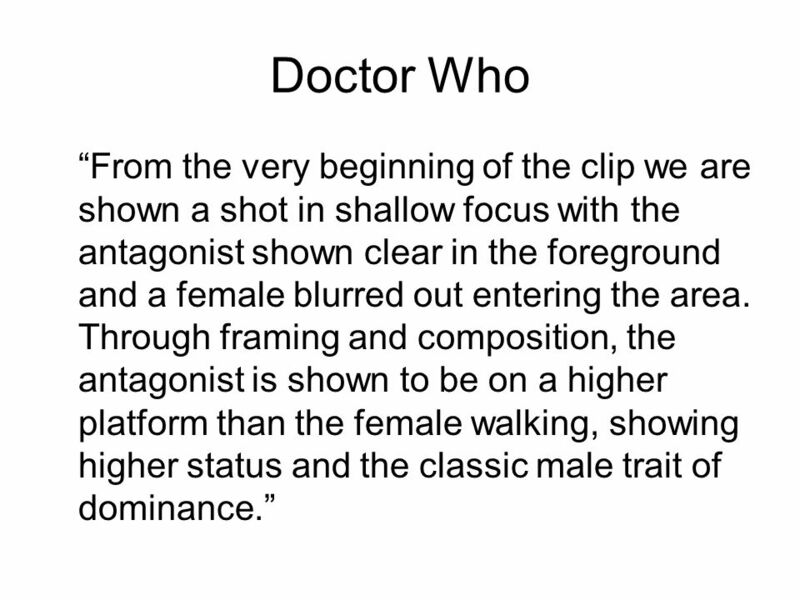 Through framing and composition, the antagonist is shown to be on a higher platform than the female walking, showing higher status and the classic male trait of dominance. 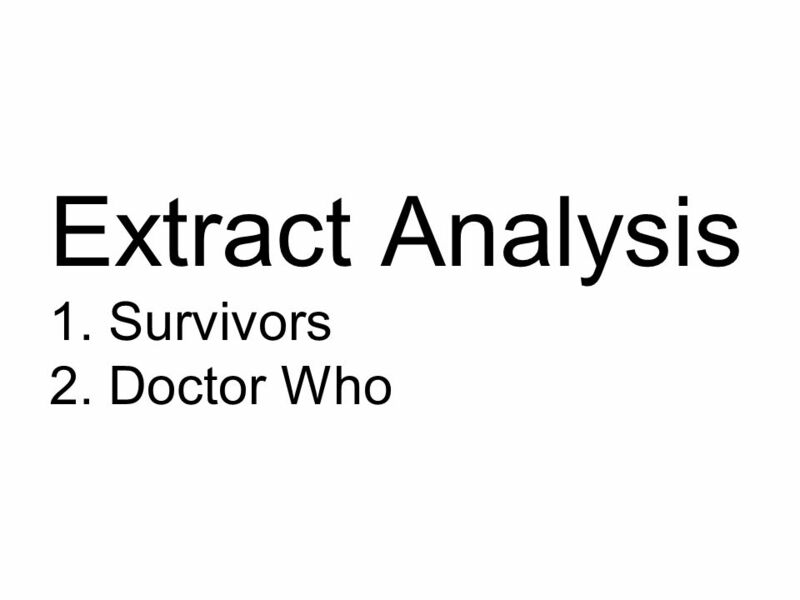 28 Doctor Who As the female character continues to walk slowly through the area, point of view shots are used followed by mid-close shots to show her expressions and reactions to what she can see. 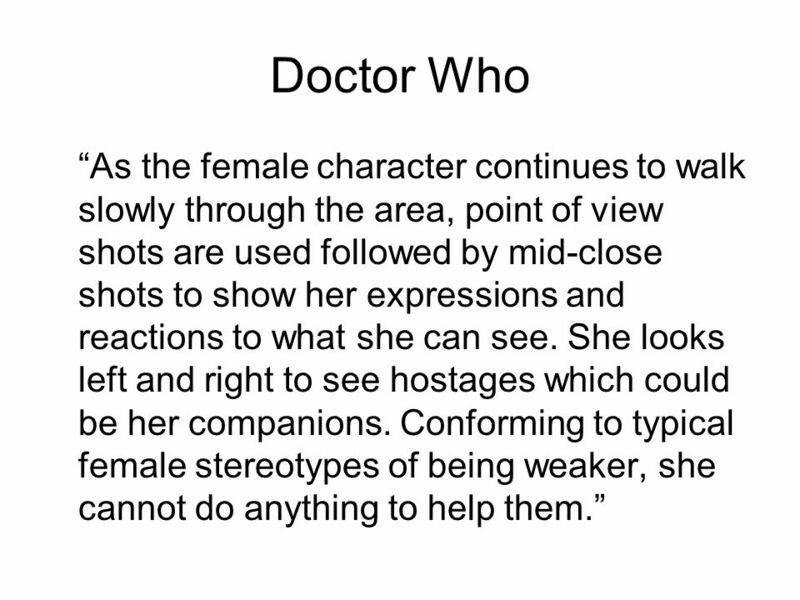 She looks left and right to see hostages which could be her companions. 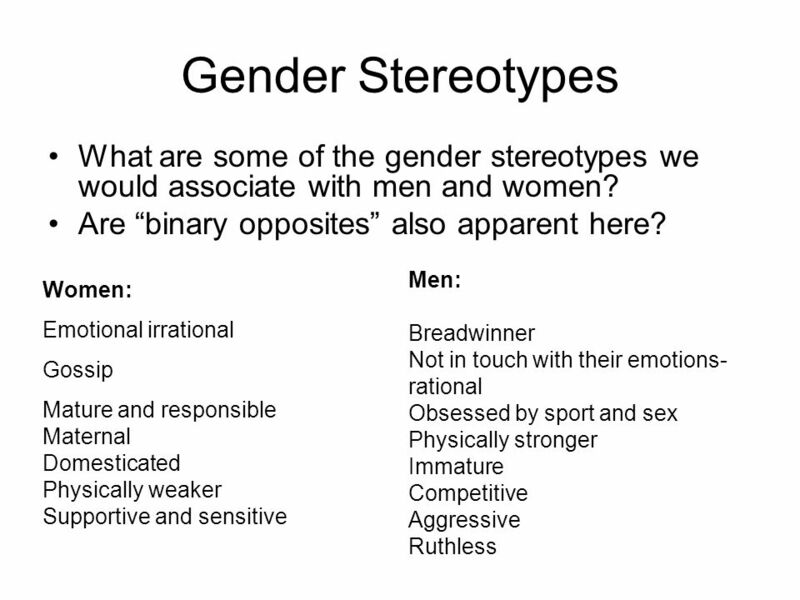 Conforming to typical female stereotypes of being weaker, she cannot do anything to help them. 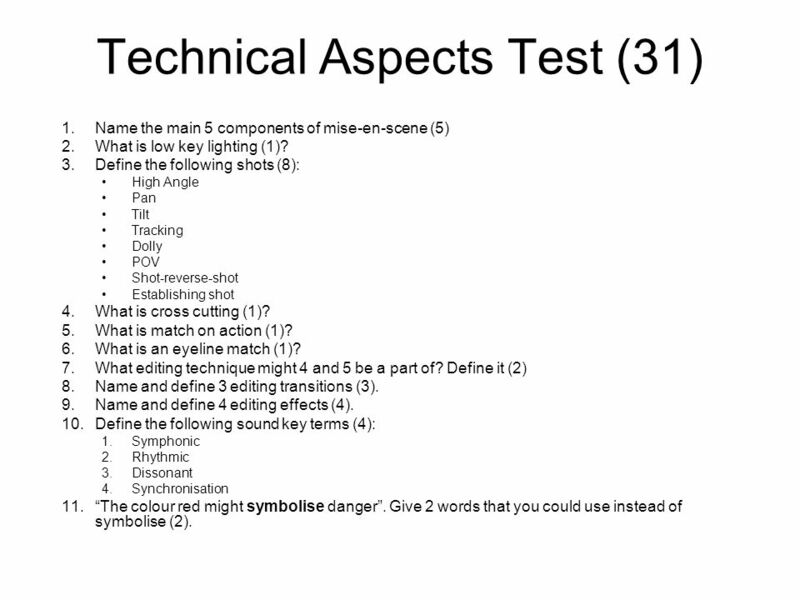 Download ppt "Technical Aspects Test (31) 1.Name the main 5 components of mise-en-scene (5) 2.What is low key lighting (1)? 3.Define the following shots (8): High Angle." 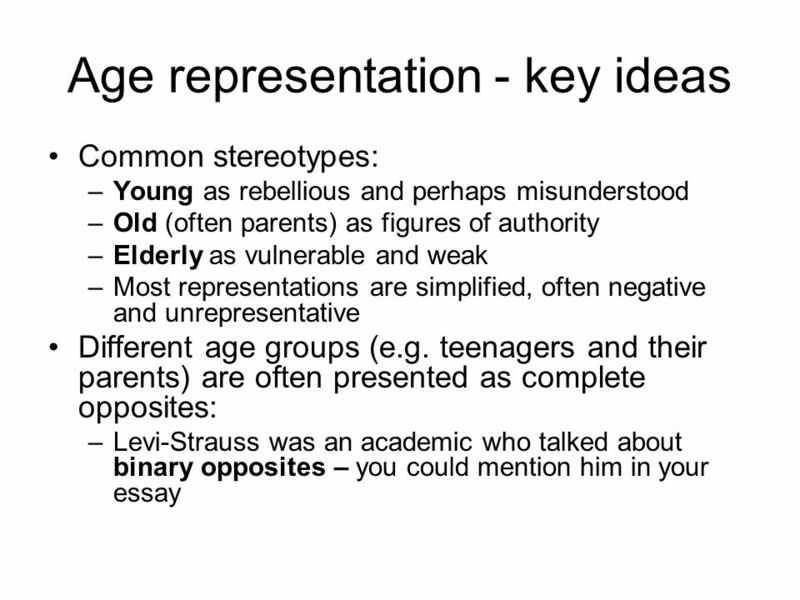 Representation In TV Drama Learning Objective: Build notes on characterisation and representation. Question 1 – In what ways does your media product use, develop or challenge forms and conventions of real media products? By Pooja Dhimmar. FILM LANGUAGE Stories told on film are often very powerful. As an audience we connect with the characters presented to us and feel along with them as. 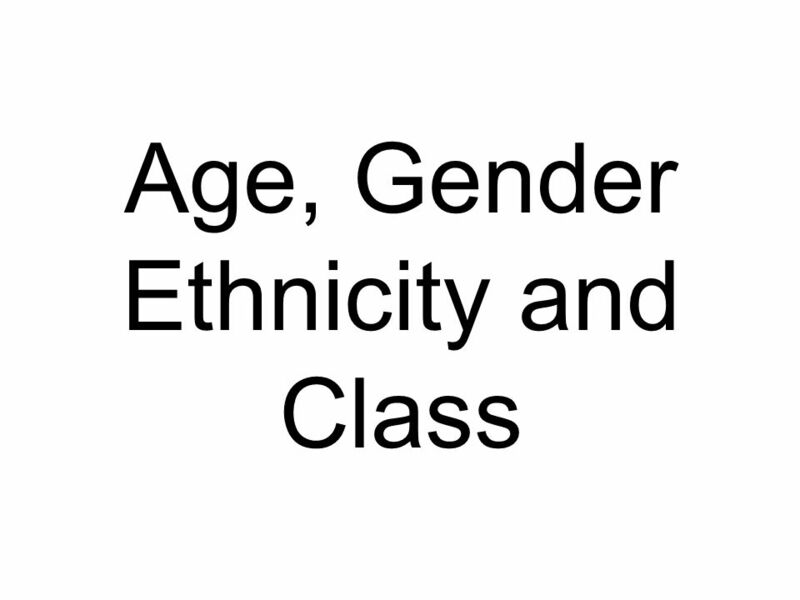 Q2: How does your media product represent particular social groups? Windmill View Daly Farrington. COLLATERAL- Textual Analysis. Describe the Location(s) /setting A busy airport or some sort of public transport station and a loud taxi rank How is it. 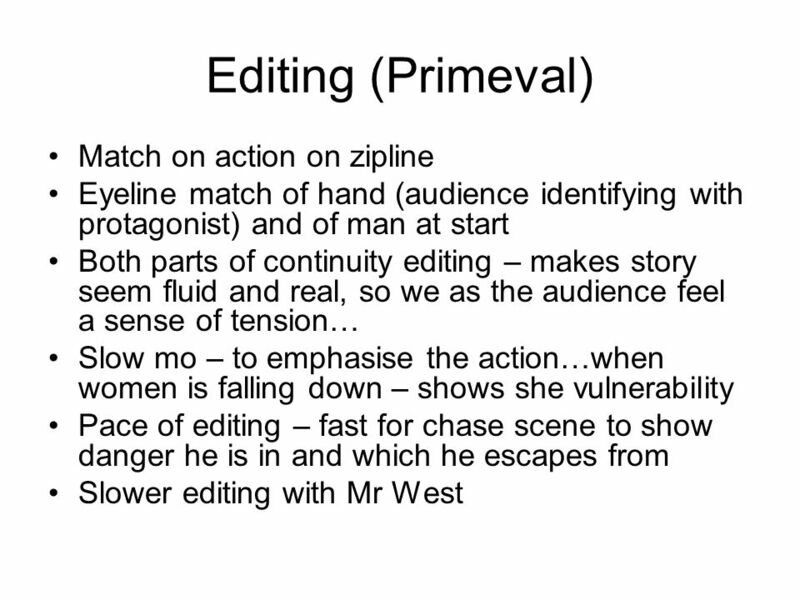 APPROACHES TO TEACHING FILM LANGUAGE. Introduction to film language=an introduction to the course Here students will learn the basic tools of analysis. Sh t Types. Establishing Shots Establishing shots set up a scene’s location and/ or its participants. The following shot is the very first frame of The. MISE EN SCENE BRICK. By showing a close up of the boy’s eyes, this is a way of introducing his character to the audience. It is said that eyes are ‘the. Working with Cinematic Techniques Ms. Claytor & Mrs. Sberna. 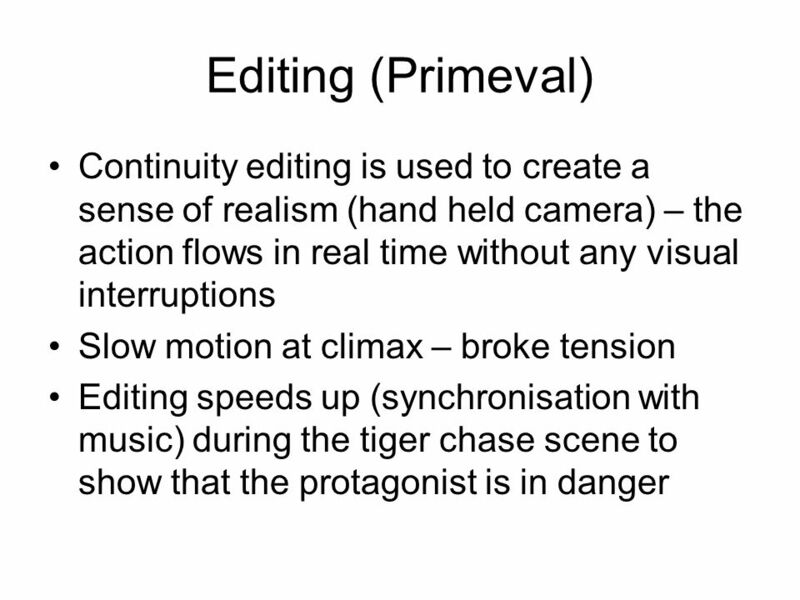 COLLATERAL OPENING TITLE SEQUENCE ANALYSIS. MISE EN SCENE The first scene in the opening title sequence of collateral is in a very crowded airport with. We see a lot of recurring props in the sequence, they all seem to be focusing on photos, writing, books, small metal objects and cuttings from pictures. SE7EN Textual Analysis. Describe the Location(s) /setting  You don’t see the location/surrounding area in this opening title sequence;  However, it. 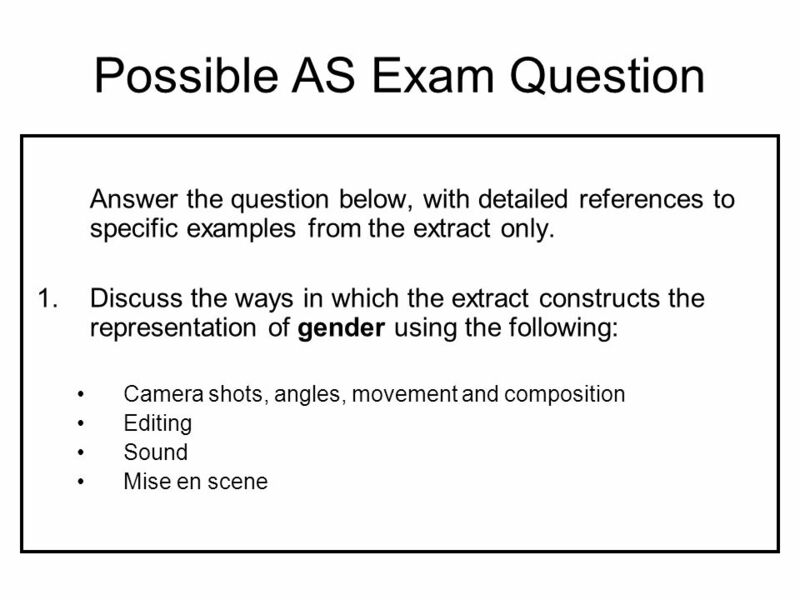 Media Language in music video Exam Section A Question 1b. 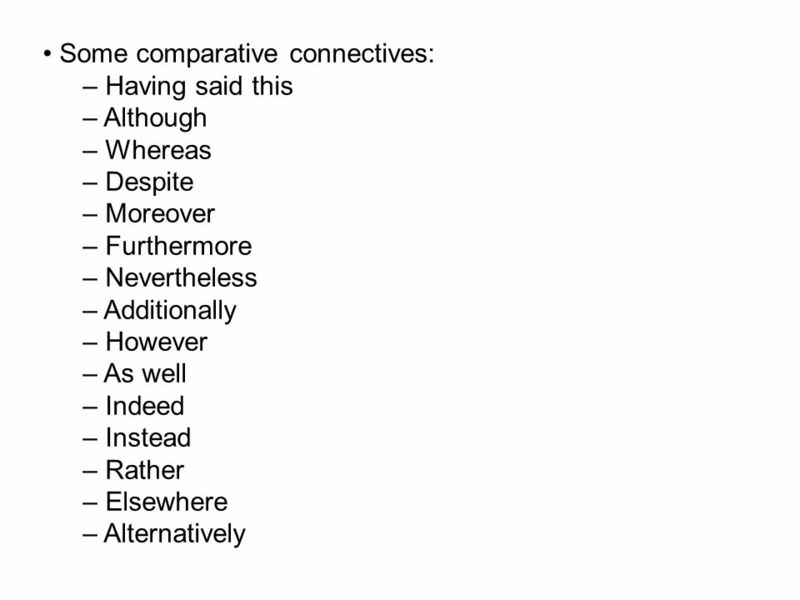 Media Language Exam Section A Question 1b. 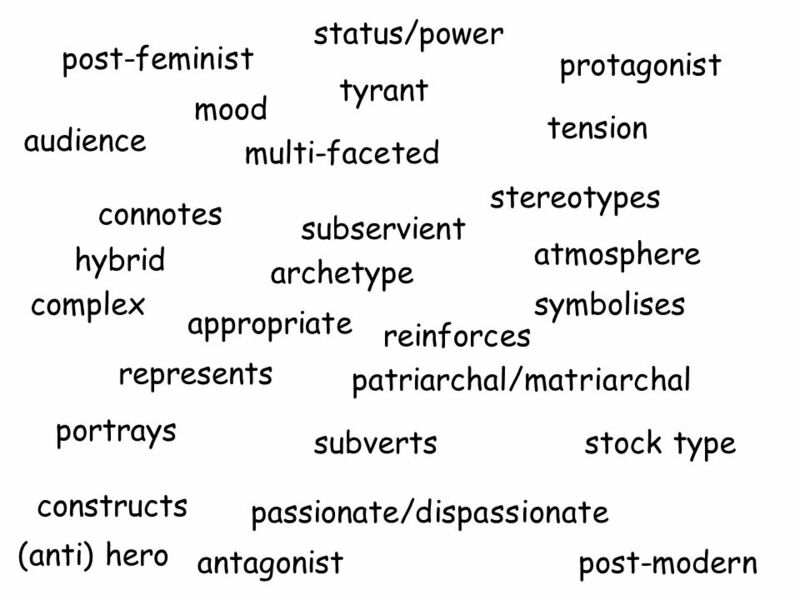 Media Language This is the area of theory concerned with how texts communicate with the viewer. Your video. Extreme Wide Shot An establishing shot.. Very Wide Shot The subject is visible, but the emphasis is still on placing her in her environment. Film Editing The joining together of clips of film into a single filmstrip. The cut is a simple edit but there are many other possible ways to transition. 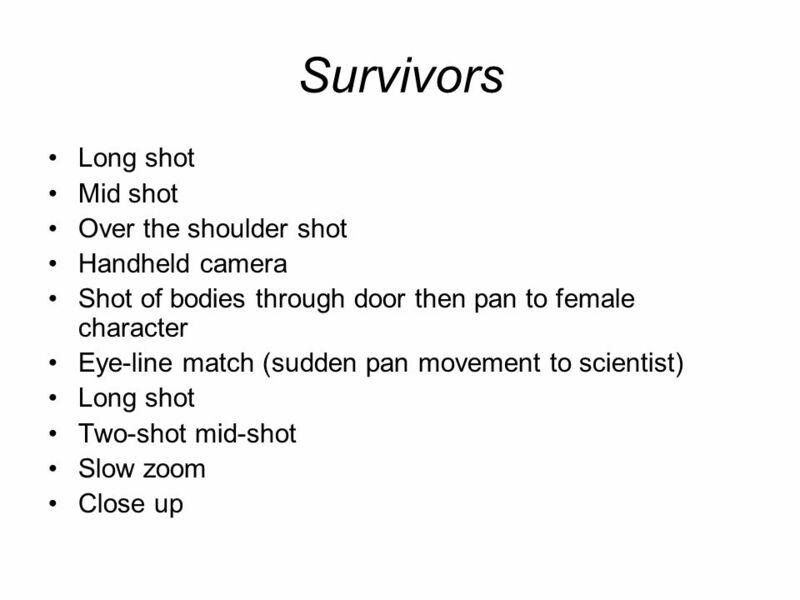 Film Study Notes. Cinematography What is the narrative of the film?  Does the narrative have a clear beginning, middle and end?  What is the goal of.